*Pondering: should this go on the finance Site or on the Writer’s site? I think the writer’s site, but only because it veered away from the initial finance focus that I sat down to write about. You woke up with a dream one day, right? Share your wisdom with the world, educate the masses, maybe earn enough from it, somehow, to cover the cost of the coffee you’ve consumed in getting rich and famous! At the very least, you want to manage to get your writing hobby to make money for you? I sure as hell know how this feels. I’ve been writing as a hobby for months, years even. Let’s see if I can find that screen shot. 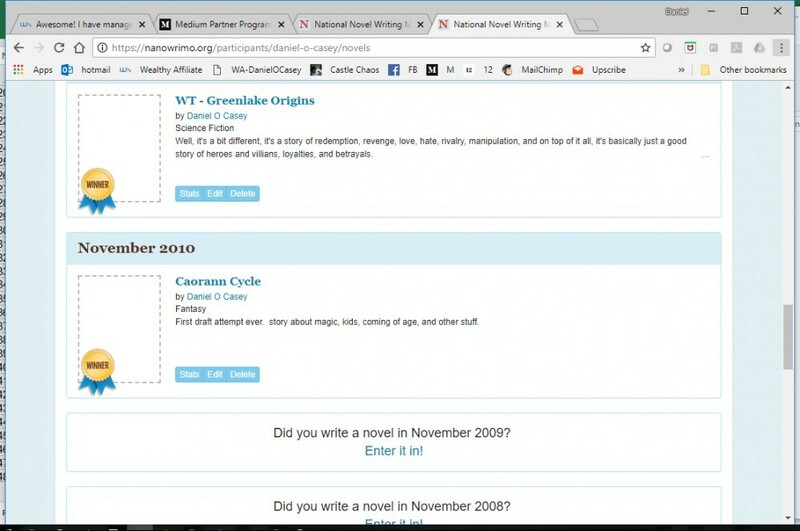 That was way back in 2010, my first online documented proof of writing. There were others, but those details are lost to the mists of time. If you love it, do it, and keep on doing it. Have you ever heard the concept that practice makes perfect? Some quotes come to mind that emphasize the nature of refining a hobby or craft. 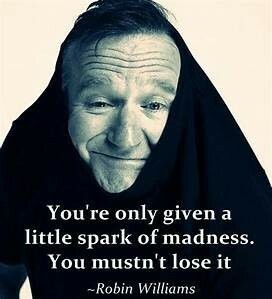 Nurture your madness, keep it close, let it grow. Life is conformity, schools and factories teach conformity, Governments relish compliant masses, they’re easier to keep controlled so they can be milked for profit. (Free market, jaded cynicism anyone?). I have followed so many people who have broadcast their passions; a lady who carves figurines from the antlers of the deer and moose her husband harvests yearly; a man who eschews all formal government and legal trappings to live off the land like his ancestors did; a young man whose talent with electronic artistic media is beyond comprehensible. Each one of these people is not pursuing a job, they’re following their passion, working to refine their skills because it’s what they have to do. Ok, I’m an accountant, I’m also a father and a writer and a carpenter and a plumber and a farmer and a gardener, etc. You get the idea right? We all have so many roles in today’s society that it’s maddening. Drive forward. 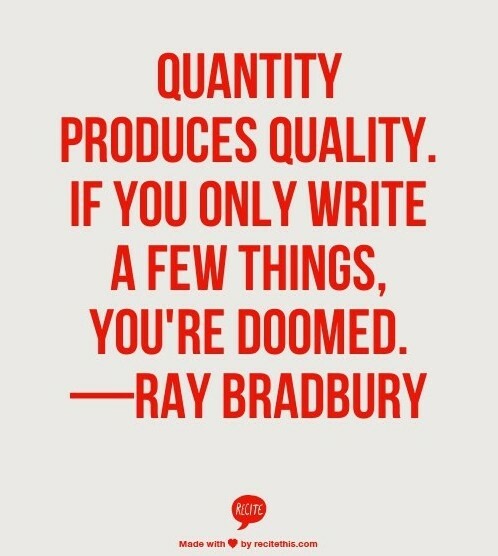 If you’ve finished the horrible first draft of a novella, or even a full length novel (see my first attempt at NaNoWriMo above, but you scan back over it and realize it’s so horrible that you could sail a cruise ship through the plot holes, acknowledge that fact, shelf the manuscript, and get on with the next story. Chalk it up to learning. Don’t lament the time sunk into the story. You’d just have wasted that time on Netflix, or cleaning house or yard work anyhow. Get the miles on your keyboard, keep making the effort. It will start to pay off, which leads me into the next point. Once you’re making forward progress, you might as well get paid for it. Find a way to get paid for what you love to do. The examples above, of an artist with exceptional digital graphic skills (shout-out Jayant Mall, the guy behind Smokedship), who can produce content for compensation as required, or the lady who carves figurines from antlers. These are simple to monetize. Even in writing there are simple options, writing articles for pay, or blog posts paid per word, or even just content mill work (I do not suggest that, it’s hard, grueling, and the pay is never worth the loss of sleep, at least not in countries where it costs as much to live as it does in North America). There it is. It’s an inspiring article about getting good enough to teach, you don’t need to be an expert, just better than those you’re trying to teach. Medium has a partner program whereby content can be flagged and put behind the paywall, to make things just a little more profitable as an article writer, but there’re tracks, tips and issues with that avenue as well. More learning, always more learning. Go, ask questions, do the math, and then if you’re getting serious, start treating this like a businesses. Getting into bed with business. As I alluded to in the title, YAY You’ve made a buck, or three, or a million. Regardless of how much you make (my first month on Medium, I posted serialized fiction behind the paywall and made a whopping $1.27 CAD or .98 cents USD), earned income is earned income. If you are working on a hobby, and somebody pays for the results of that effort, then you’re in business. Welcome to the world of Entrepreneurship, now file your taxes and grow your business. Just kidding, sort of. The taxes this is inevitable, regardless of where you live or how you work, at some point, your government is going to want their piece of your action. The USA government might also want their piece if you’re basing online sales out of the US of A. What this leads to is that you’re now in business, it’s time to start treating this like a business. Track your income, religiously, or at least dogmatically. Keep a separate bank account if you can, or at least a specific ledger, either online, in paper, a spreadsheet, whatever. Ask me, I’ll help you set one up in Google Sheets even, free of charge. Hell, if I get the chance, I’ll set up a package and leave it for download, then update a link here. Regardless, you’re a businessman or businesswoman now, it’s time to start thinking and acting like one. You’re in the spotlight. You yourself are the tangible daily embodiment of your business. How you act in public is what people are going to remember, and how well you track and record income and expenses determines how much you get to keep of the hard-earned money. *BIG Disclaimer* I am a CPA in British Columbia Canada, any and all tax information or assertions that could be read into this may only tangentially apply to your situation IF you live in British Columbia, anywhere else, and all bets are off, this is for entertainment purposes only at that point. Different jurisdictions have MUCH different rules and taxation treatment. Go find a Local Accountant that knows how your geographic area works. First main point, you got good enough at what you love doing to get some form of payment from it. AS to just how, I’m not asking. There’re more articles on that than I can count, I’ll probably write one myself in the coming weeks. Second point, keep getting better. Every Damned Day! Keep practicing. Third, if you have received payment, then you’re in business, start thinking and acting like you’re in business. The topic of the next few posts is how to move from a hobby based operation to a business. First, A Plan! Look for it tomorrow. I’ve already got it drafted. Cheers. P.S. Feel free to sign up for the email list above to the right, and I”ll try to figure out how best to starting using said E-mail listing. See, I’m still learning about this stuff myself.